If you’re a homesteader, you are no doubt familiar with the hundreds of benefits composting provides, not just to you, but also to your garden. Composting isn’t just about getting rid of kitchen scraps and providing free fertilizer for your nutrient-hungry crops–it’s about reducing waste, preventing pollution, and closing the nutrient cycle. This process can help to eliminate over half of your household waste. Furthermore, it allows you to contribute to the crucial process of rejuvenation and recycling that is necessary to sustain life. Fresh compost soil is often referred to as “black gold” because it is so nutritious and vital for developing gardens. As you likely know, an effective compost pile requires careful consideration of what you put into it. You must add ingredients that contain carbon, such as leaves or straw, and also ones that contain nitrogen, such as vegetable scraps. While you might already have an active, thriving compost regimen in the works, consider adding these ten ingredients to jump-start your processing and increase your success. Kitchen scraps are the most commonly composted ingredients, and for good reason. Most of the kitchen waste you produce on a daily basis can be composted. This includes all fruits and vegetables (keep in mind that dense ingredients such as whole potatoes or banana peels take longer to break down), pastas, and bread products. You can also recycle soy, rice, coconut, or almond milk–even if it’s spoiled. While any plant-based product can be composted, keep in mind that meat and dairy products don’t compost well. While they will decompose over time, they won’t provide any benefit to your compost pile and can instead attract unwanted predators and pests. Bone meal, however, can be helpful. It is high in phosphorus, which is vital for plant growth, and is ground into a fine enough texture to prevent it from smelling or decomposing too slowly. Egg shells are commonly added to homesteaders’ gardens to help increase calcium and to help prevent nasty diseases such as blossom end rot (though they can be used in other ways as well). While egg shells can be added whole to developing plants, adding them to your compost is a better bet to increase absorption into the soil. When you cook your breakfast each morning, save your egg shells in a bowl. Once you’ve saved enough of them worth processing, grind them into a fine powder and sprinkle them all over your compost bin. They will break down from a fully intact state as well, but decompose much more quickly and evenly when they are already processed. Most people already compost coffee filters and coffee grounds, but did you know you can also compost tea bags? Make sure these are made of natural materials, such as cotton or hemp, instead of rayon or other synthetic products to ensure you aren’t releasing unwanted and unnecessary chemicals back into the ground. As long as they are processed, chopped, or shredded into fine enough pieces, these make a great addition to compost bins. You might consider adding unwaxed paper plates, cardboard egg cartons, natural wine corks, toothpicks, skewers, shredded paper, cupcake cups, facial tissues, paper towels, tubes, and many others. This one might turn your stomach, but you can even compost hair from your hairbrush or electric razor. Some people even compost nail clippings. While it may be too tedious and–let’s face it, kind of gross–to save these castaways, if you’re looking to recycle as much of your waste as possible, this is the way to do it. Because cotton is a wholly natural product, it can be composted to reduce the amount of household trash you produce. 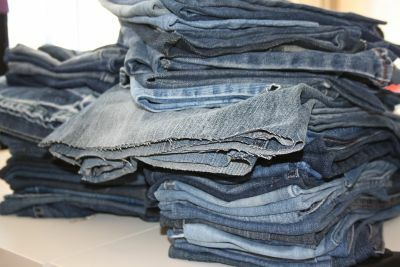 These items might include old cotton clothing and jeans, fabric scraps, towels, or sheets. Even cotton balls and Q-tips can be thrown into the bin! Wool items may also be composted. However, keep in mind that you shouldn’t throw whole pieces of clothing or linens into the compost bin. 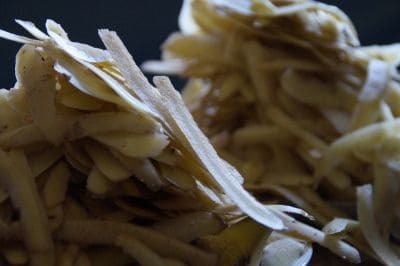 Cut or shred them into small pieces so that they break down more quickly. Any leaves or trimmings you remove from houseplants can be composted, as can leftover flowers from floral arrangements, dead houseplants or garden leftovers, and natural potpourri. You can also compost ashes from untreated wood in the fireplace in small amounts. 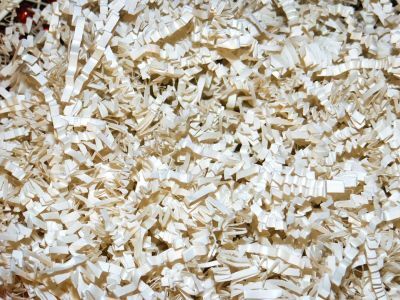 Dead leaves, sawdust, Christmas trees or wreaths, hay bales, and grass clippings are also common ingredients. 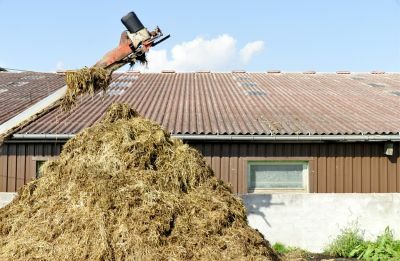 Any type of animal manure can be used in a compost bin. While some people even compost human urine, this can be an unsavory prospect for most, and there is debate over whether this is sanitary and safe to do. However, horse, cow, goat, rabbit, sheep, and chicken manure can all be safely composted. In addition, common animal products such as dry dog or cat food, fish pellets, and alfalfa pellets can also be composted. Because latex originates from the rubber tree, it can be safely composted. Throw anything from old balloons to condoms into the pile for ultimate recycling. Now, since condoms may contain other substances besides rubber, it would be a good idea to let the sun help disintegrate them. Shredding them before putting them in your compost is also a good idea. You can compost everything from dust bunnies to dryer lint. However, the trick in composting these items is in making sure that they are comprised of fabrics and materials that are one hundred percent natural. If you own and wash any synthetic clothing, your dryer lint will contain synthetic components. 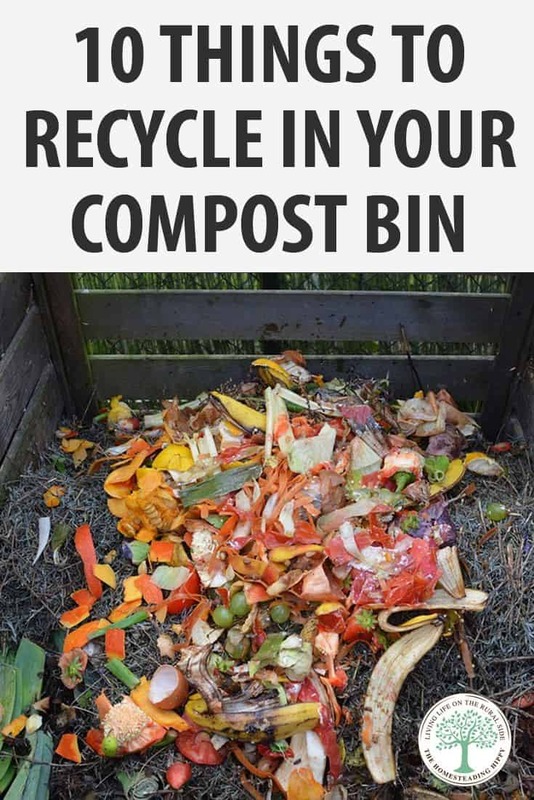 However, for the true prepper or homesteader living off the grid, this likely isn’t a challenge, and can really add to the size of your compost pile. While it seems that you can compost just about anything, be cautious about what you toss in there. You should always avoid meat, whole bones (ground bone meal is okay), cat, dog, or human waste, dairy products, and fats. You should also avoid anything treated with pesticides, or chemicals themselves. By following these guidelines, you should reduce your household waste in time–and create fertile, beautiful soil in the process.